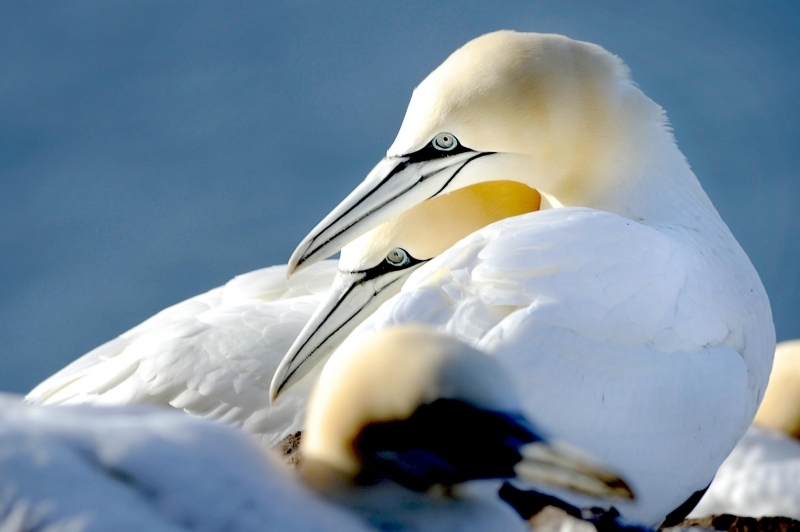 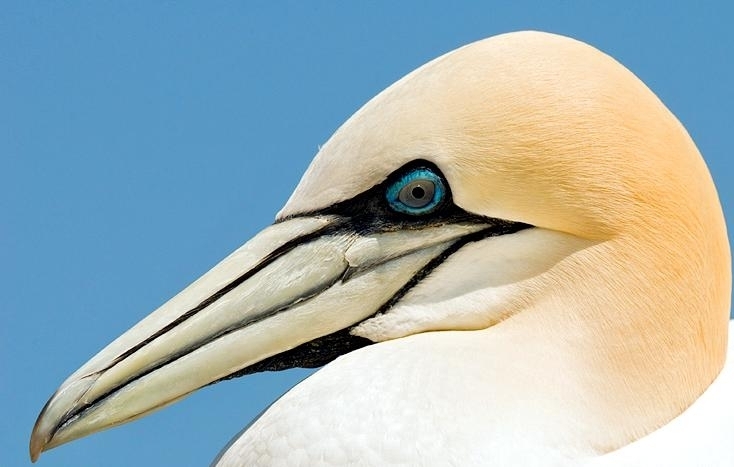 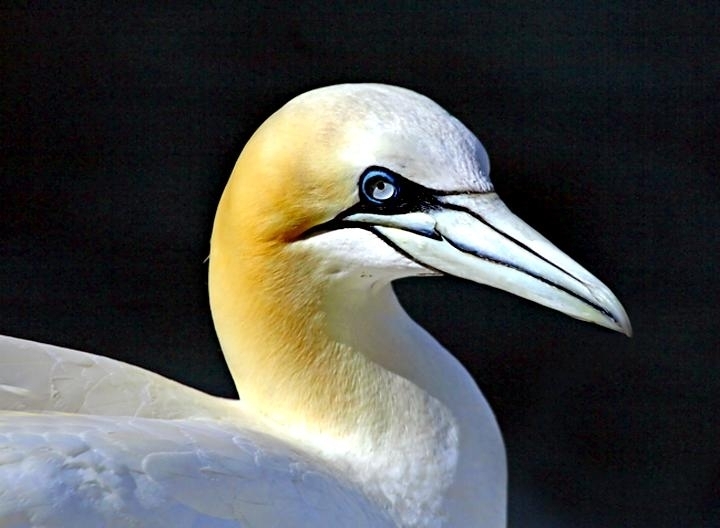 The beautiful Gannet is rather unique since they can see forward with both eyes (binocular vision), something which not many bird species are capable of. 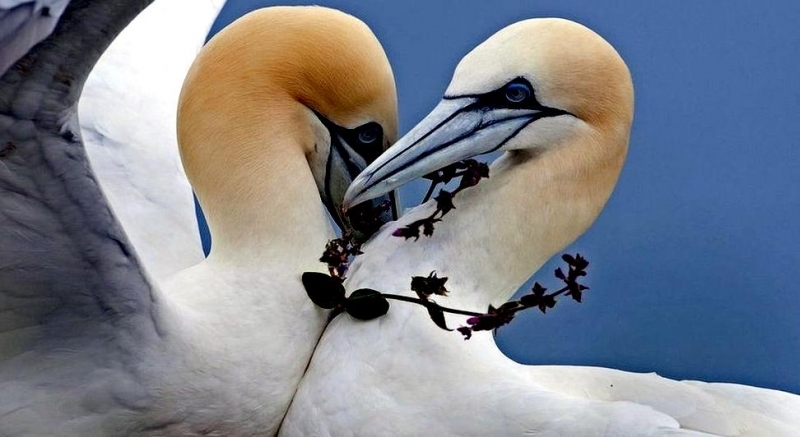 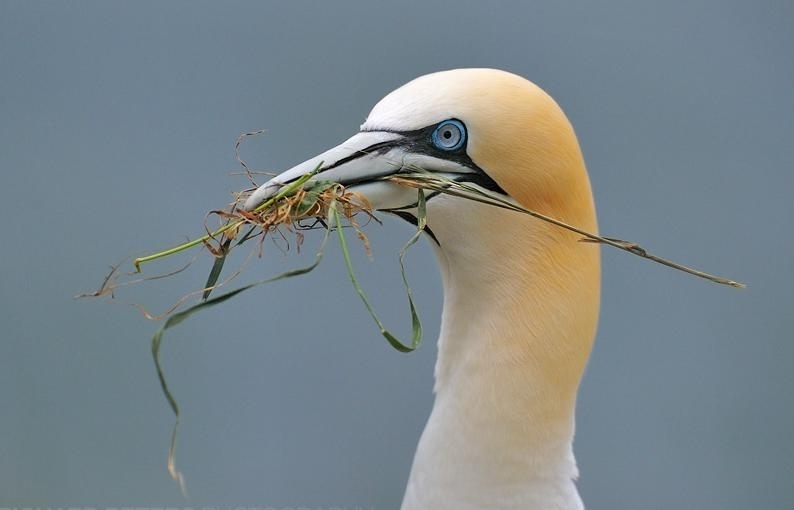 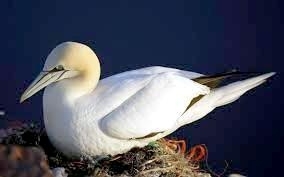 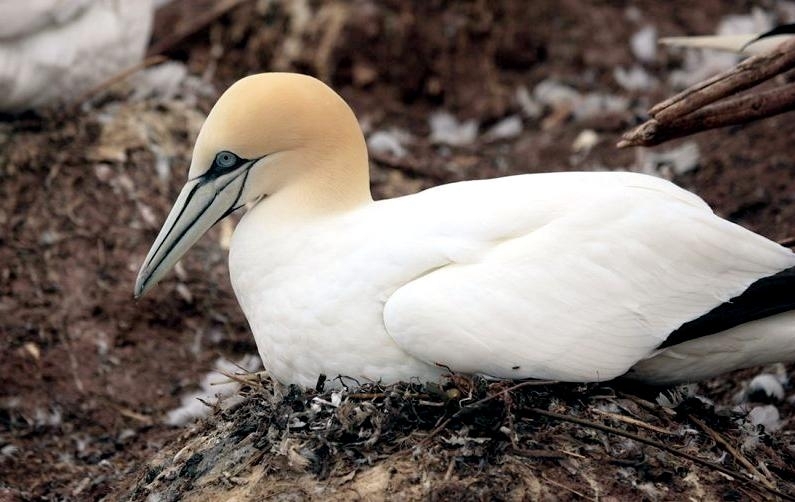 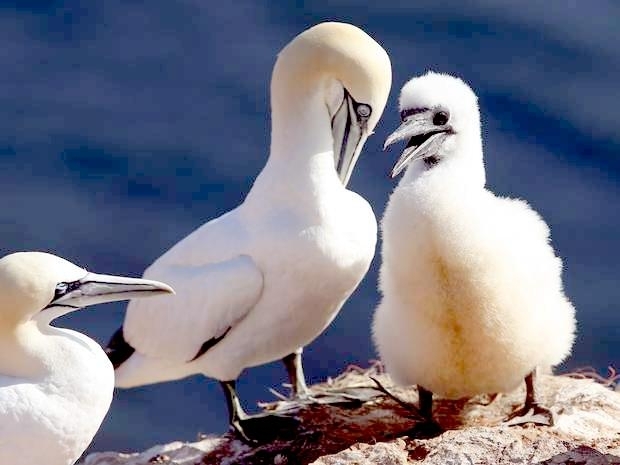 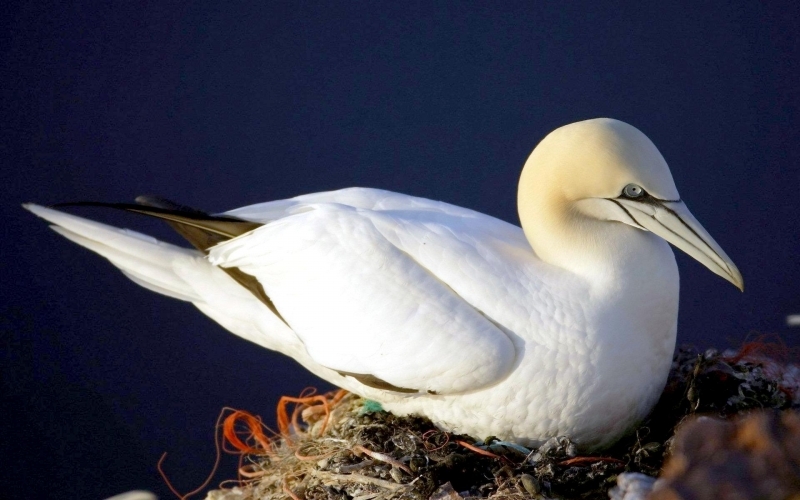 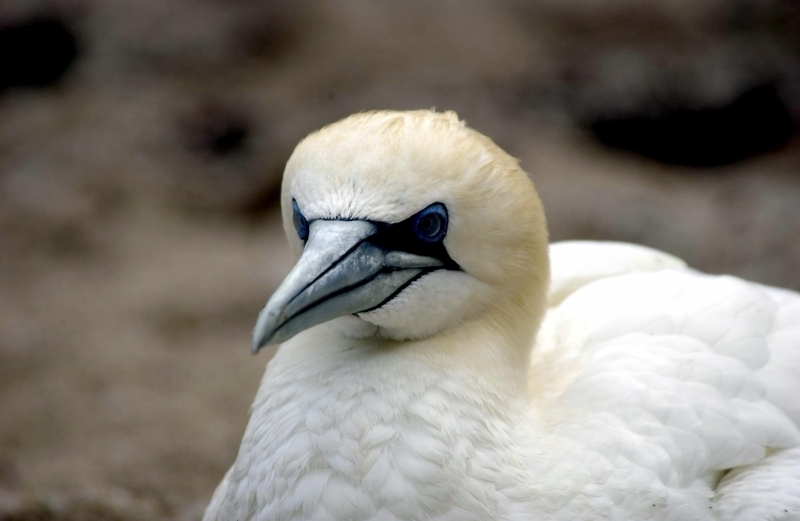 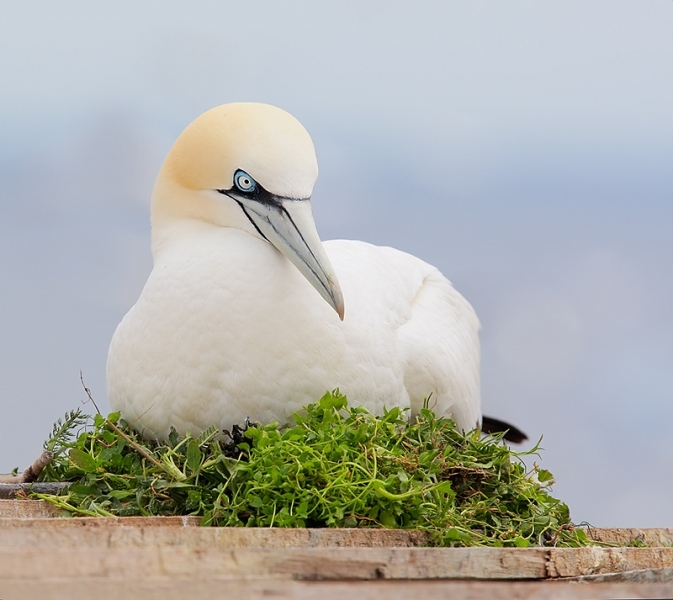 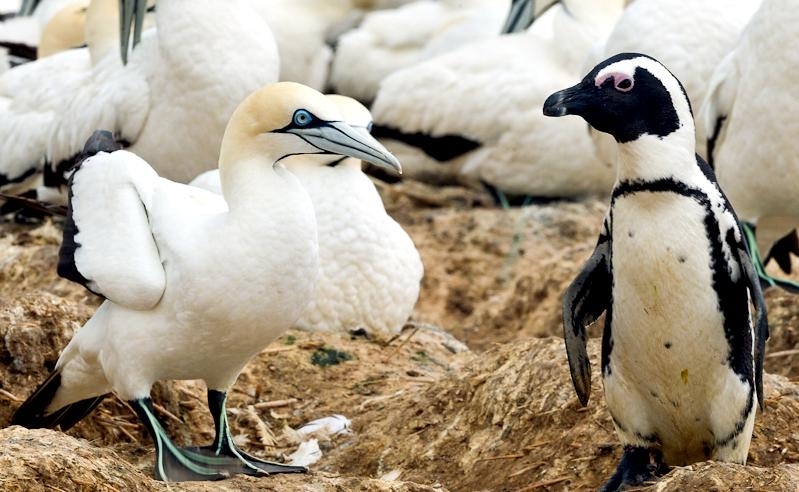 The Gannet’s supposed capacity for eating large quantities of fish has led to “gannet” becoming a disapproving description of somebody who eats excessively similar to “glutton”. 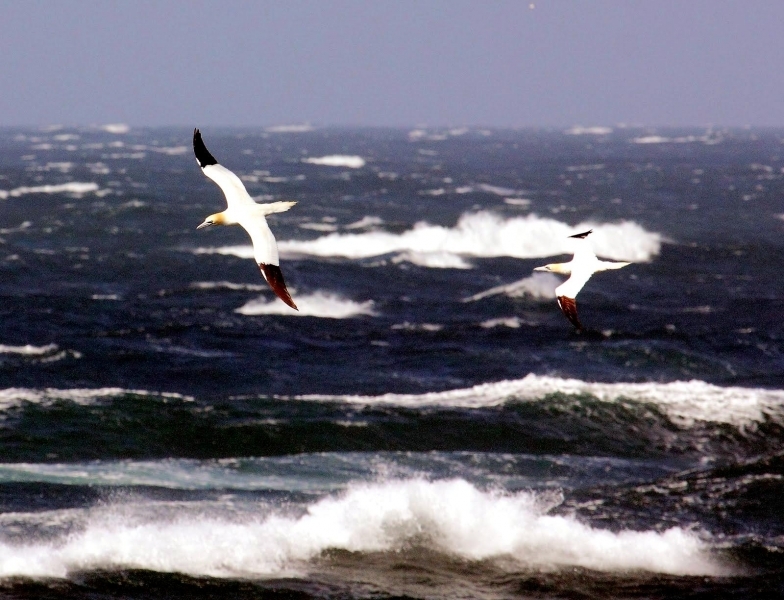 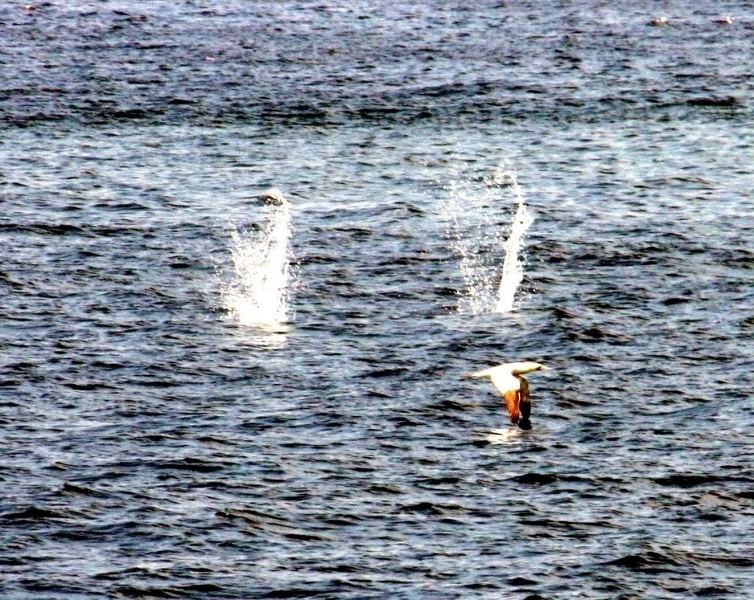 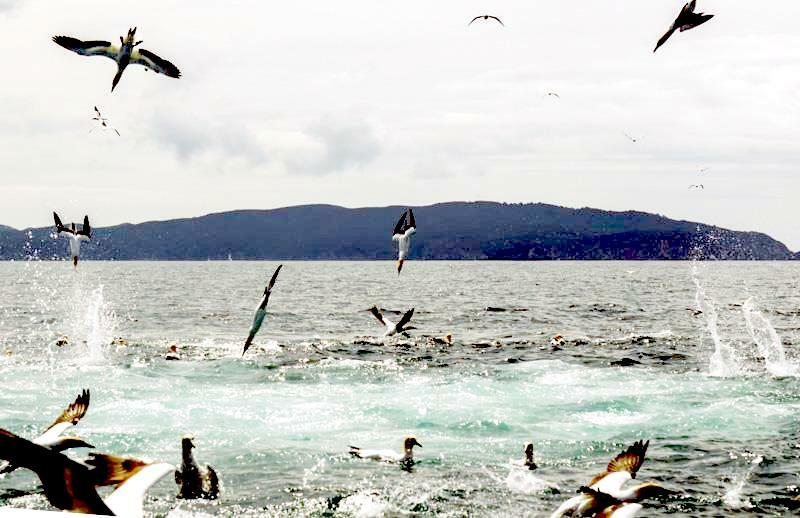 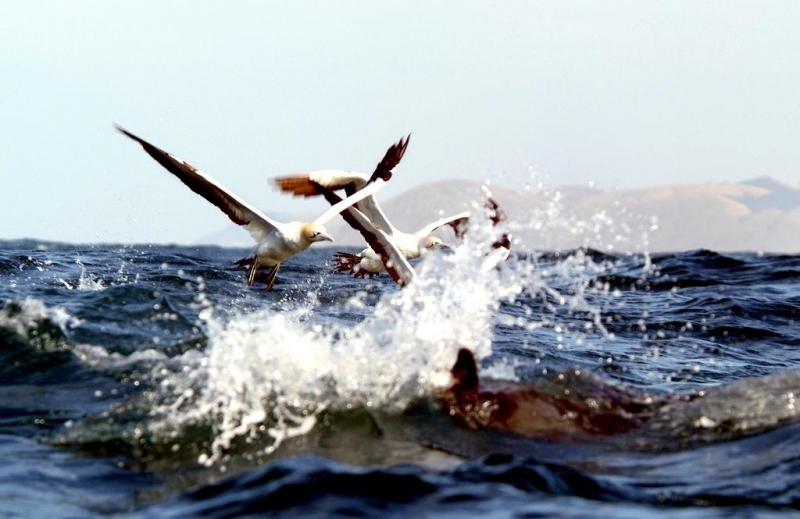 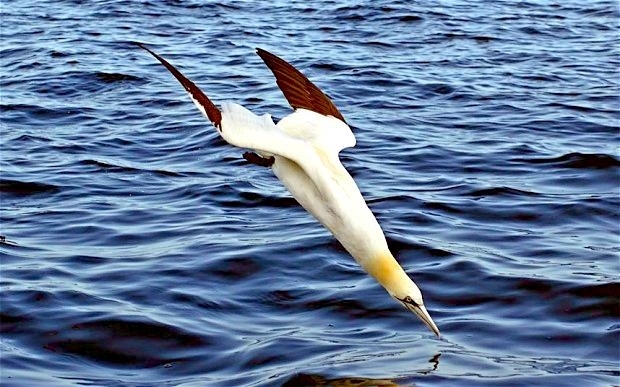 They are also powerful and fast flying seabirds who are capable of gliding just above the surface of the water for hours, though they do not take off or land well. 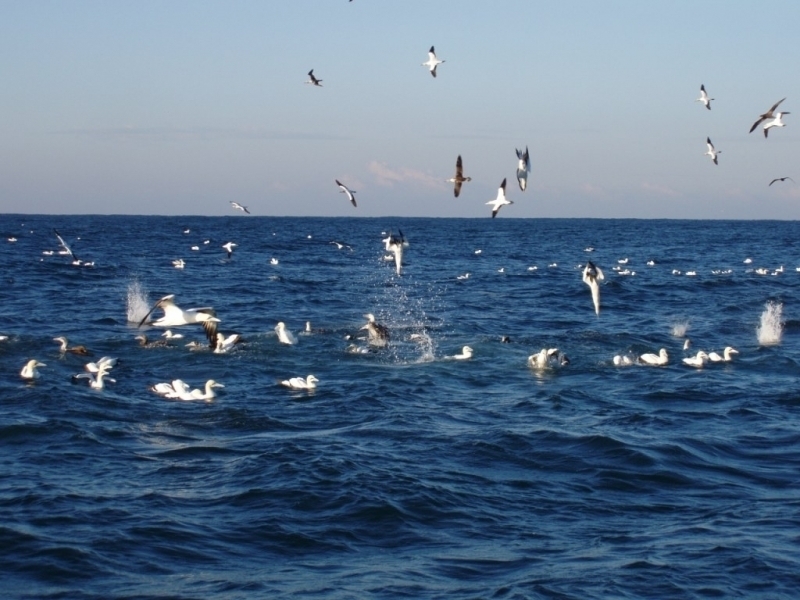 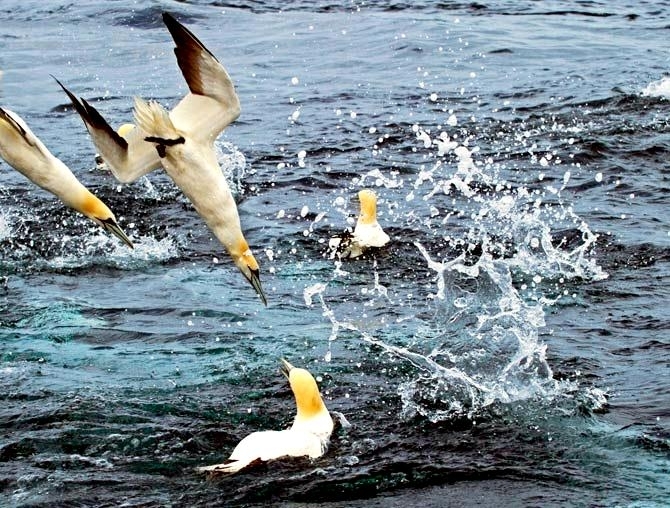 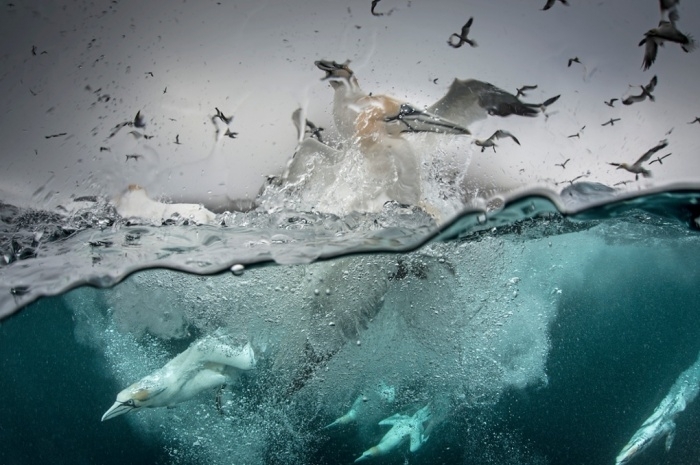 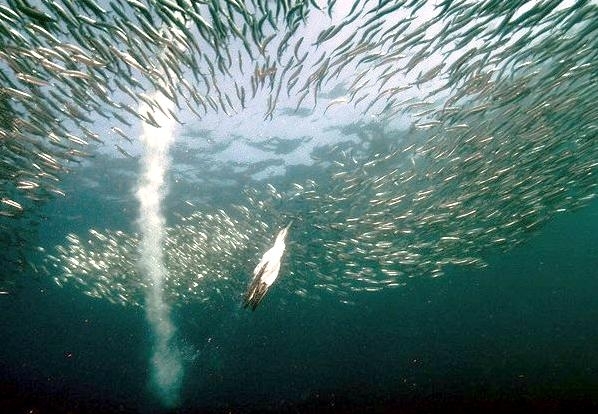 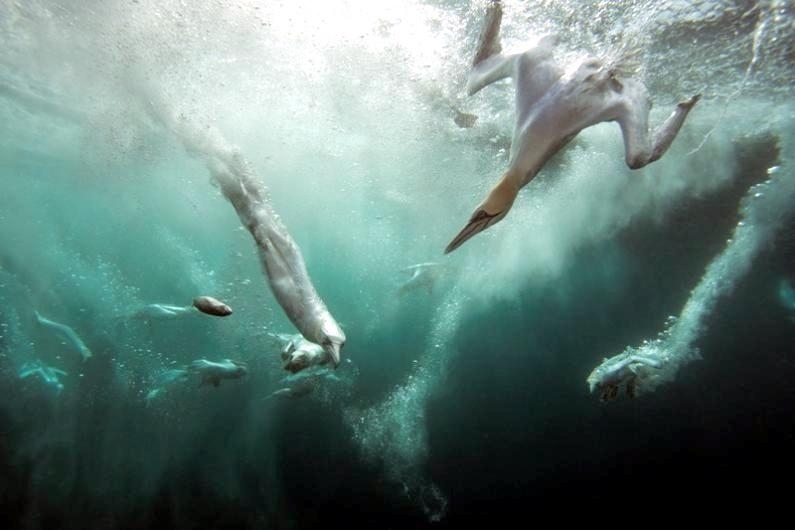 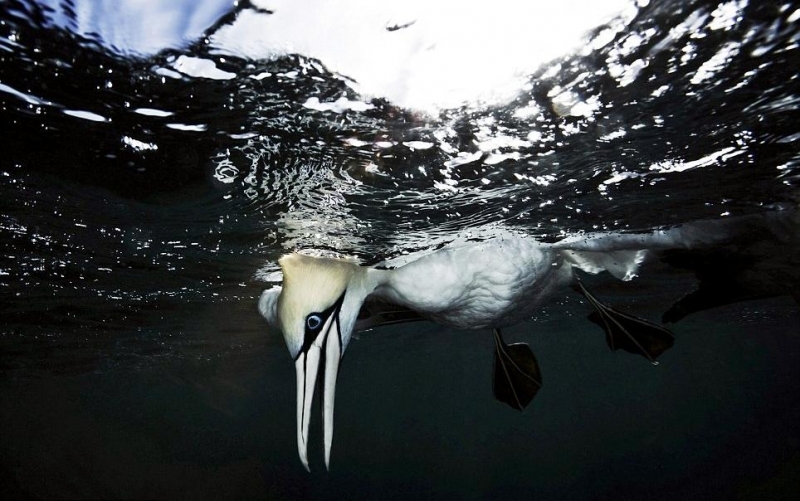 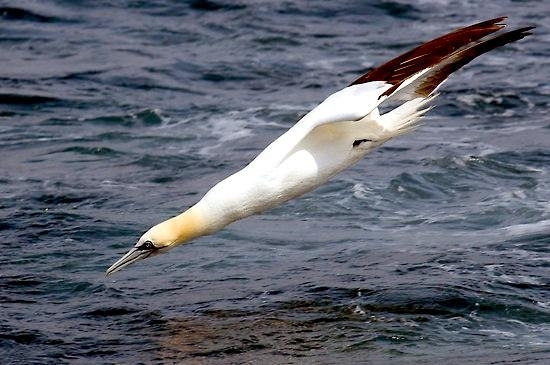 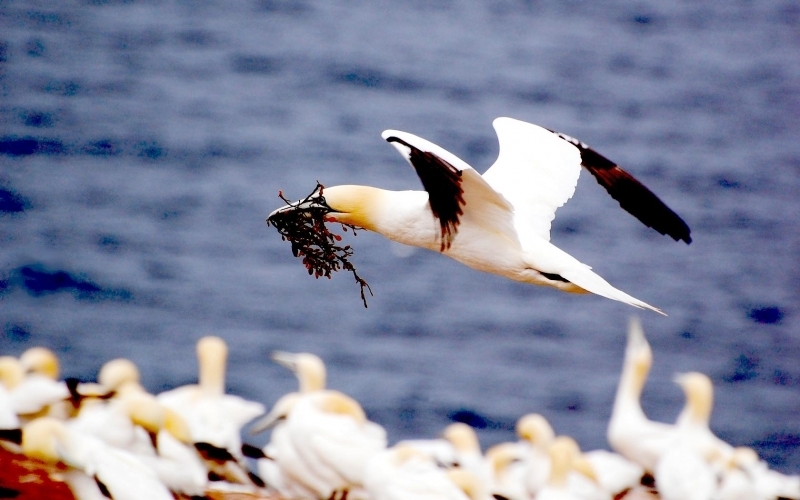 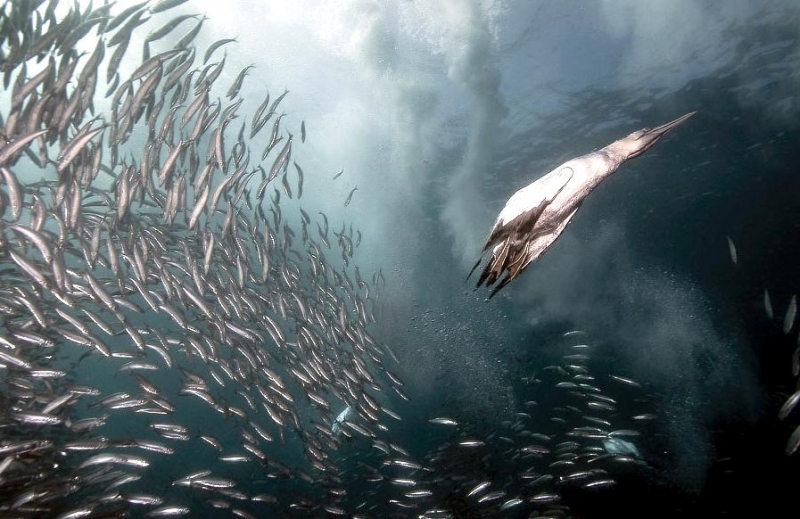 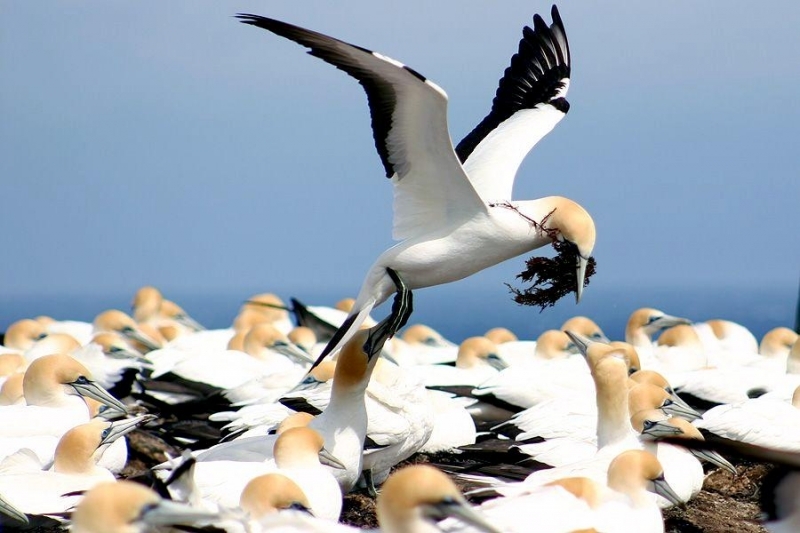 Gannets are excellent divers and eat small fish such as Herring, Mackerel, Capelin, Sandlance and sometimes on squid which can be found near the surface of the water. 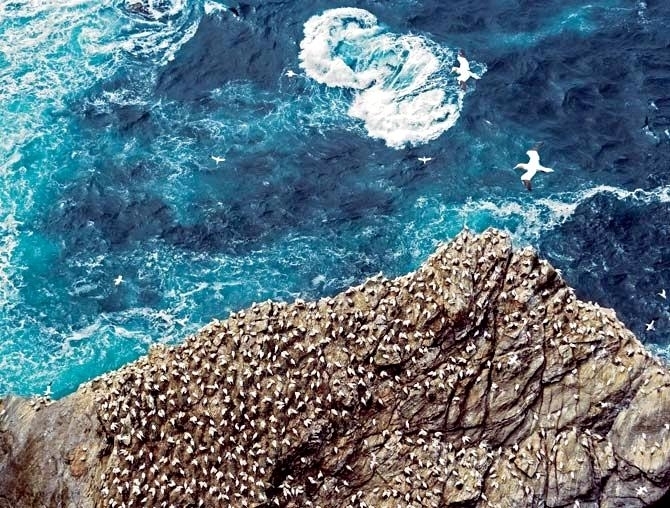 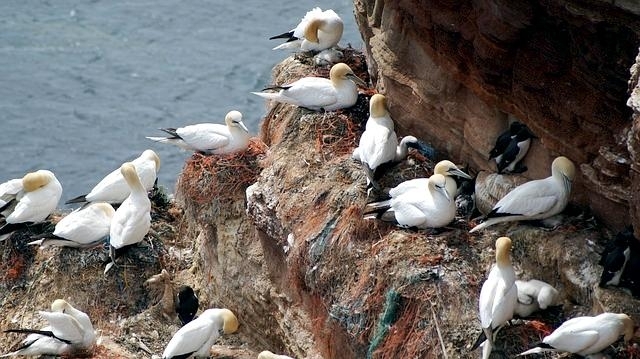 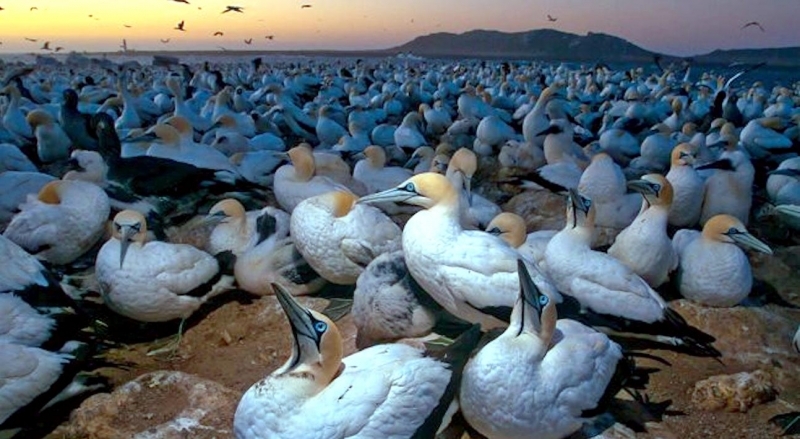 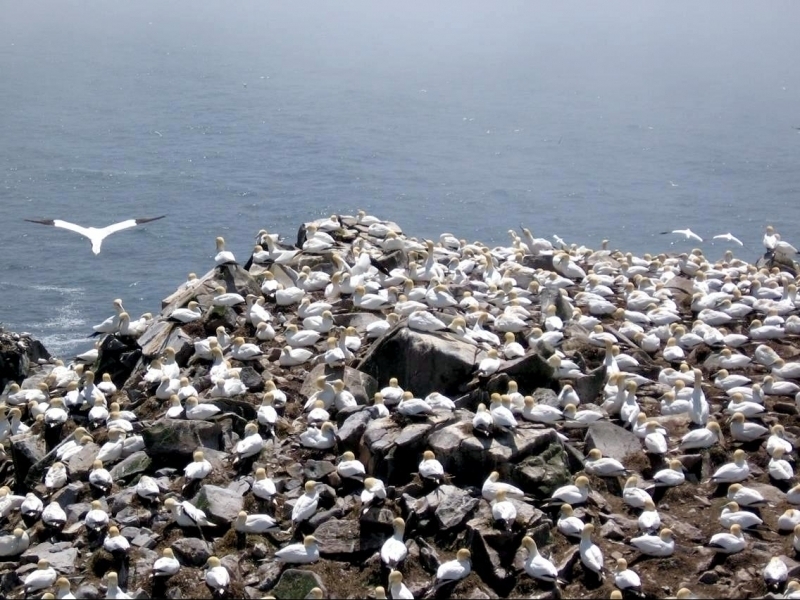 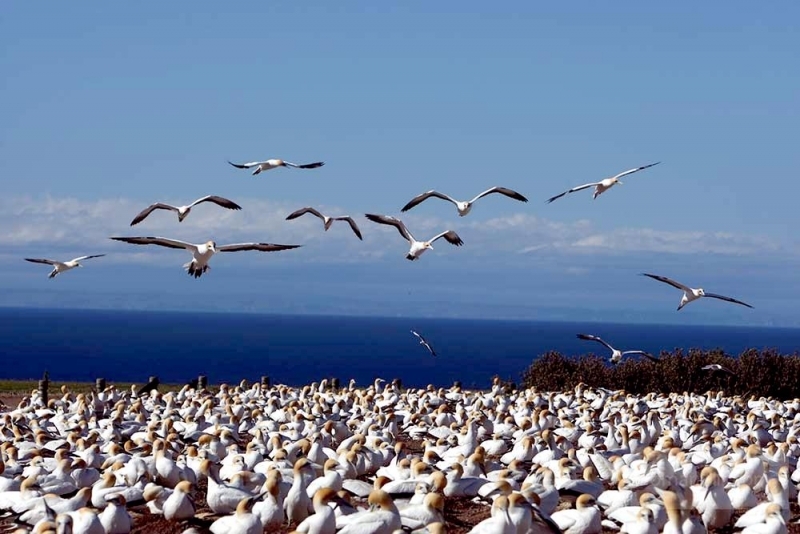 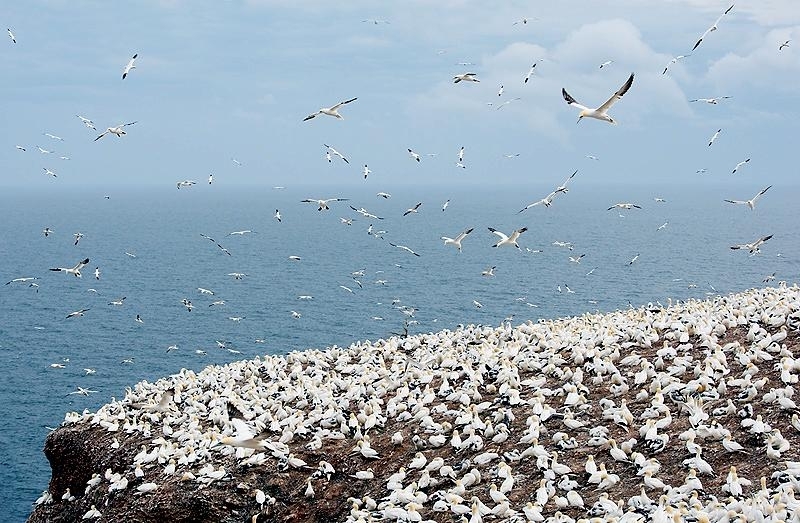 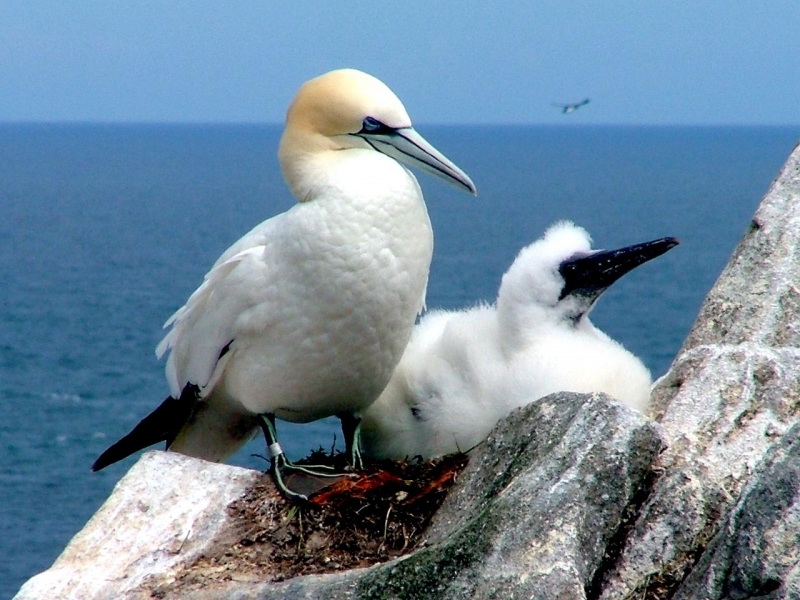 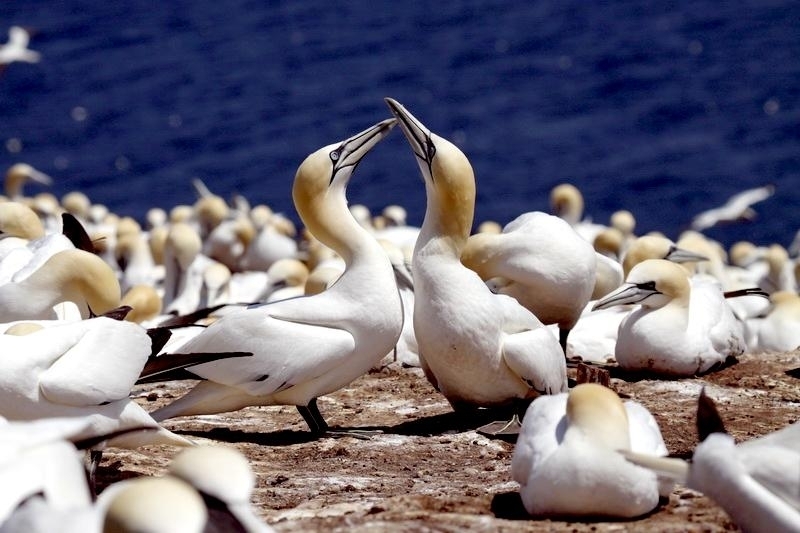 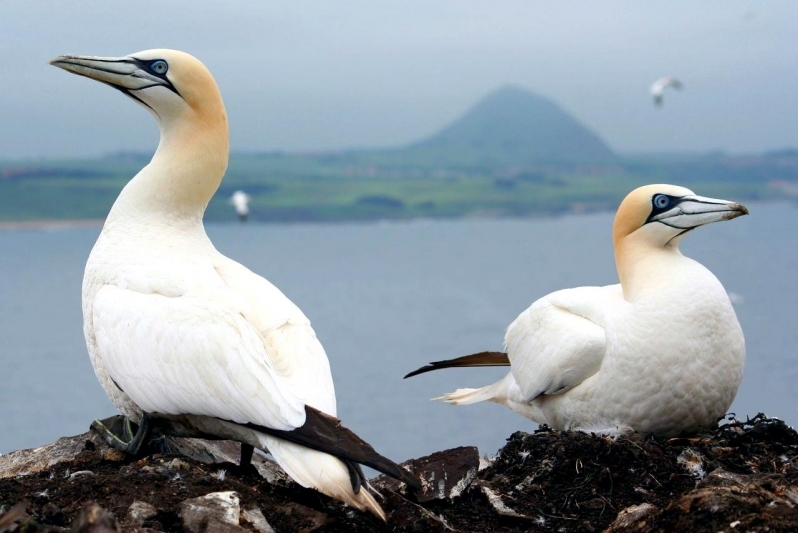 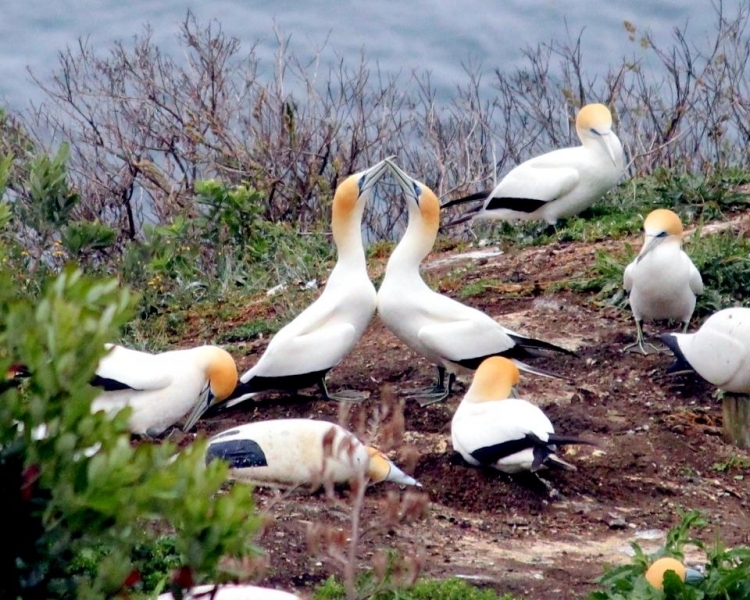 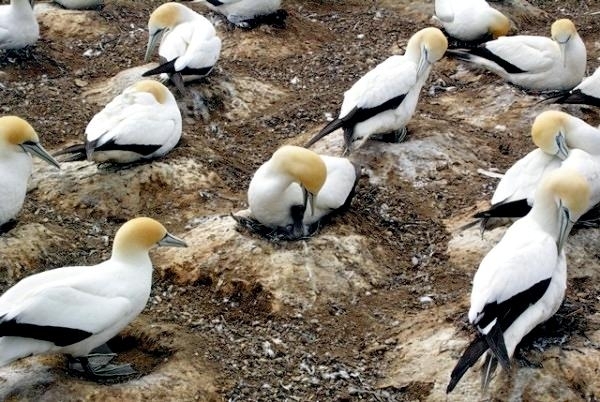 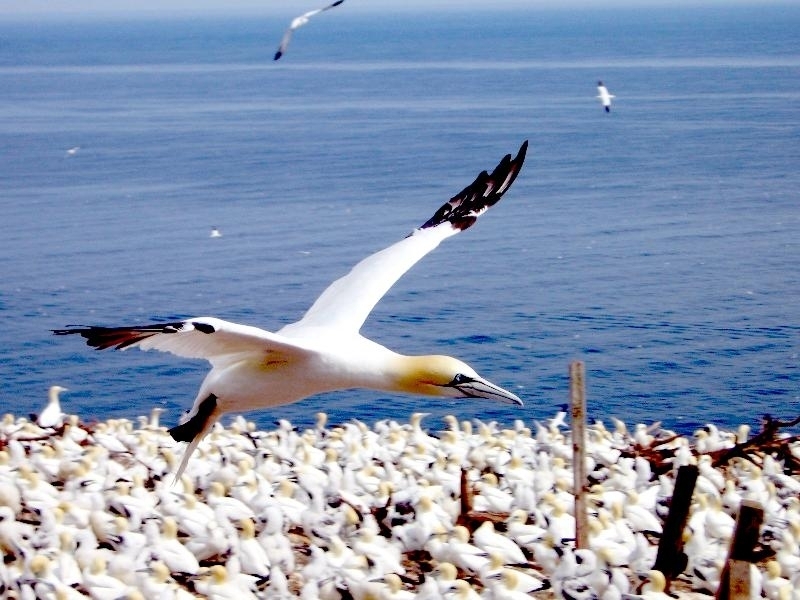 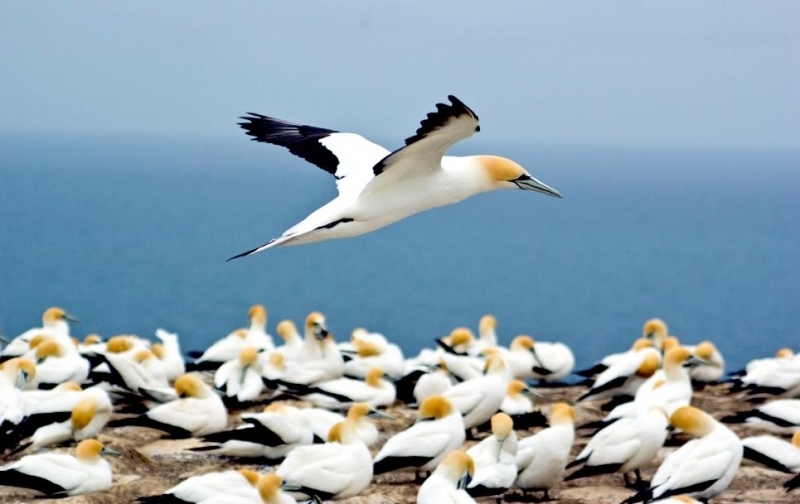 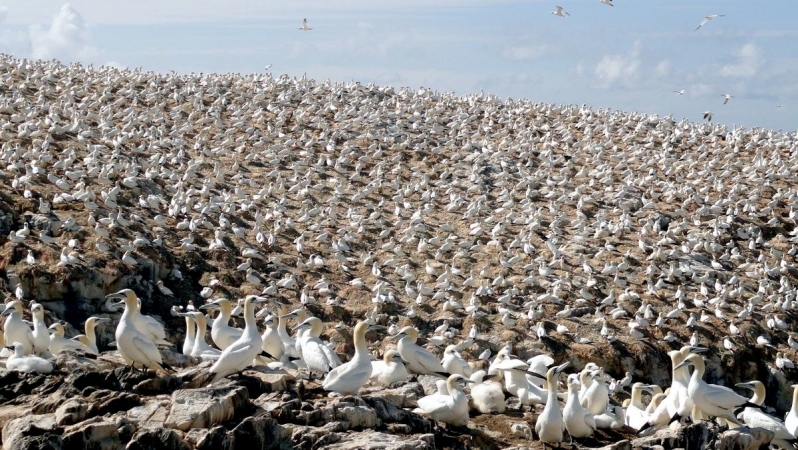 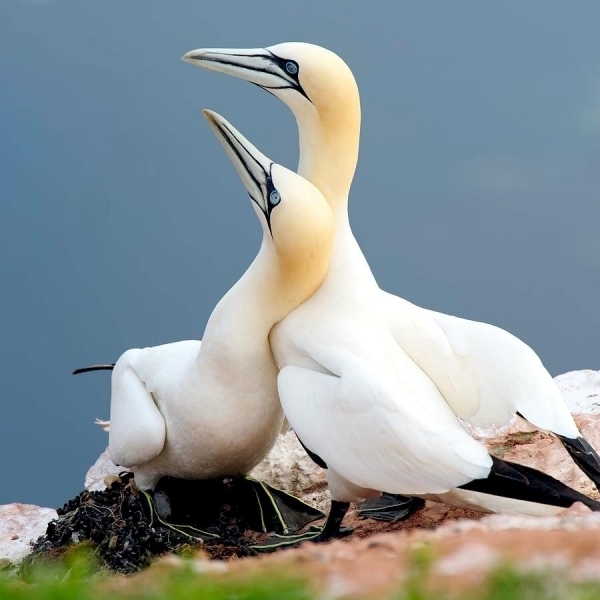 Gannets live in large groups called Gannetries, which can be found on steep cliffs or offshore islands. 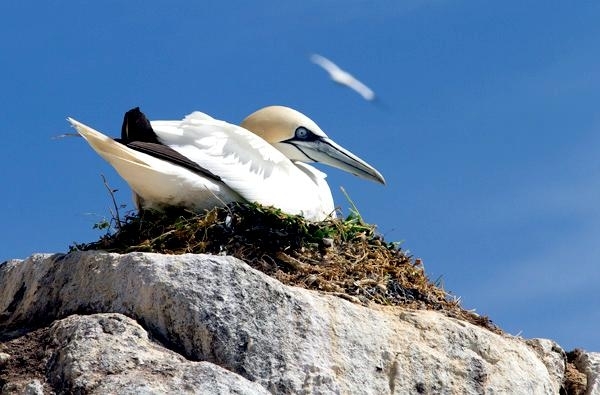 This isolation from land or steepness means that nesting birds are usually safe from predators. 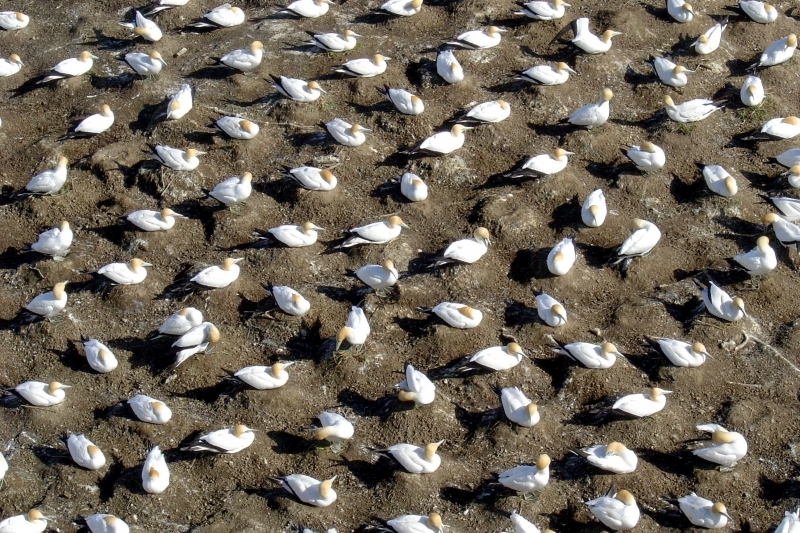 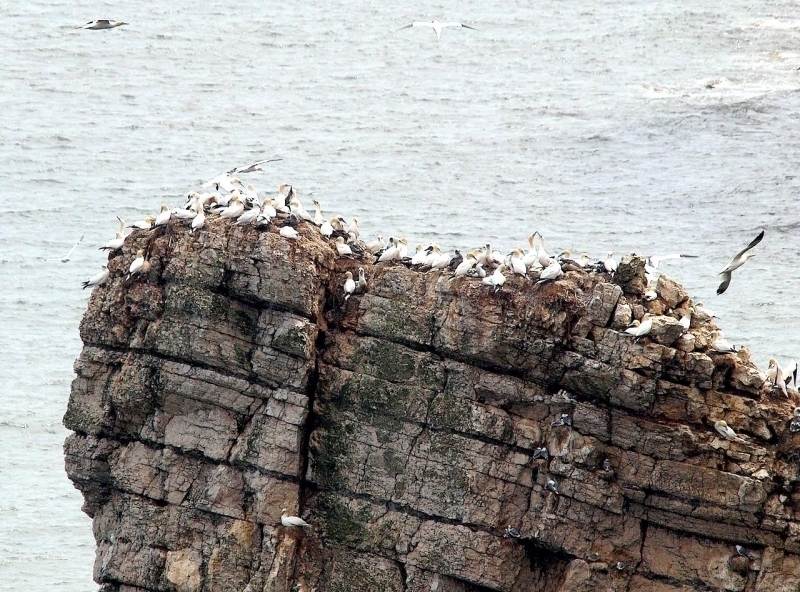 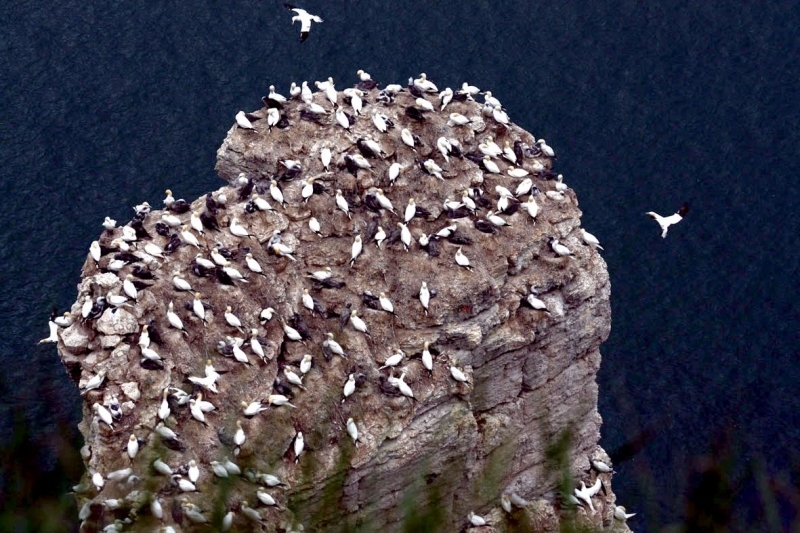 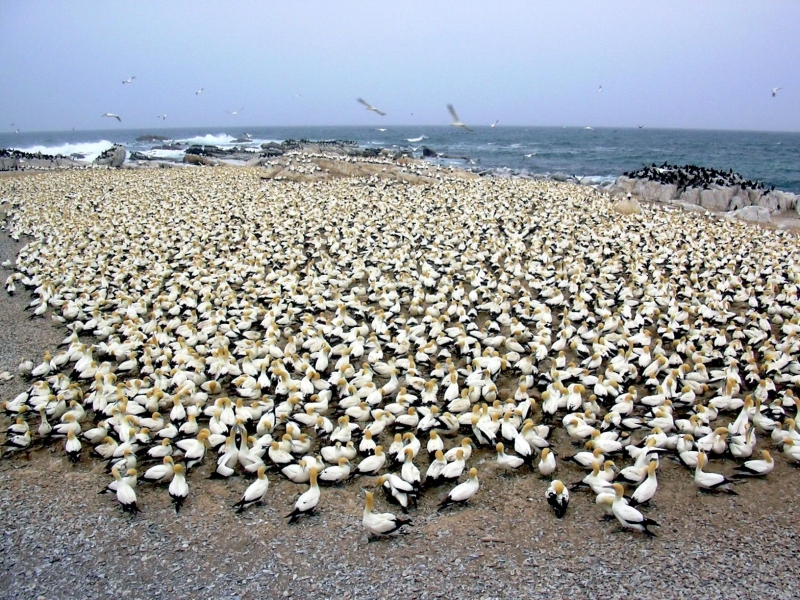 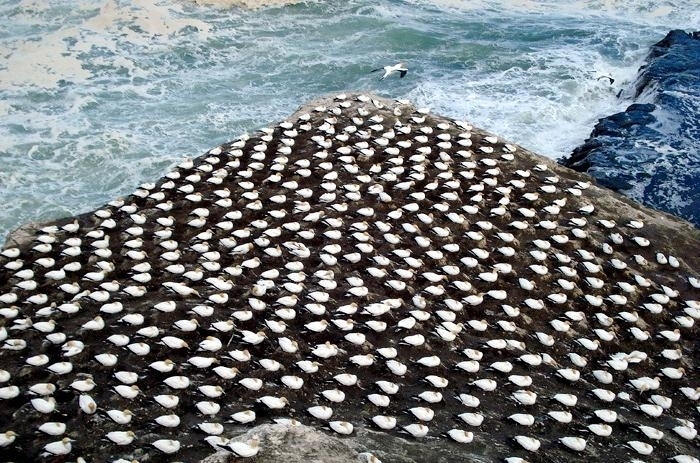 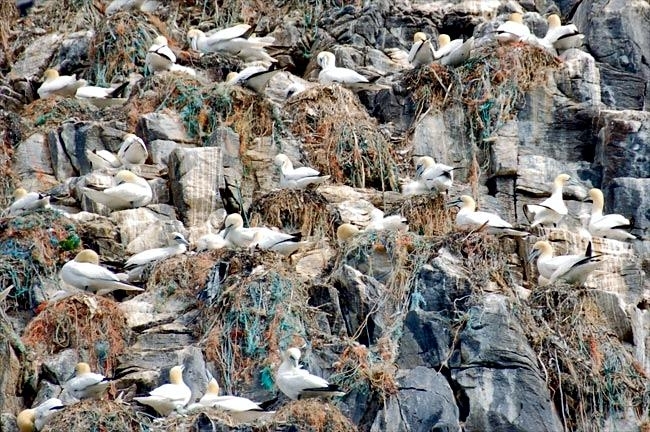 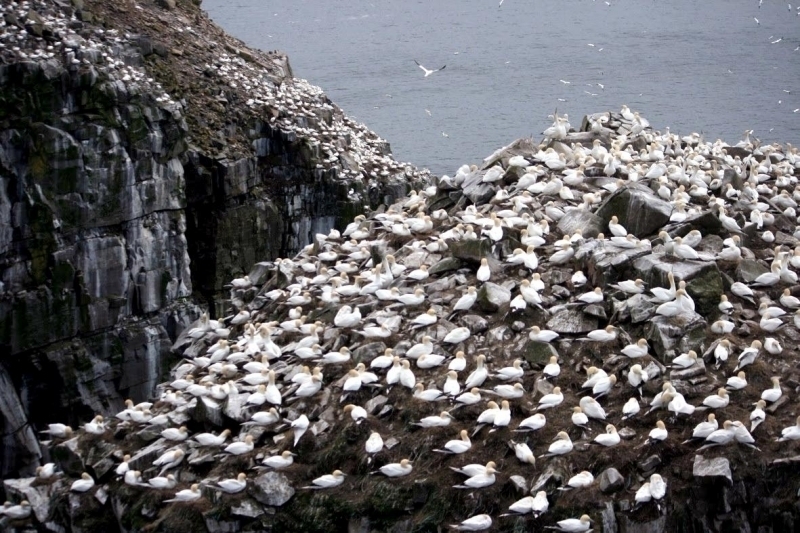 Often nesting birds will nest so closely at these colonies that the cliff may appear to be covered in snow. 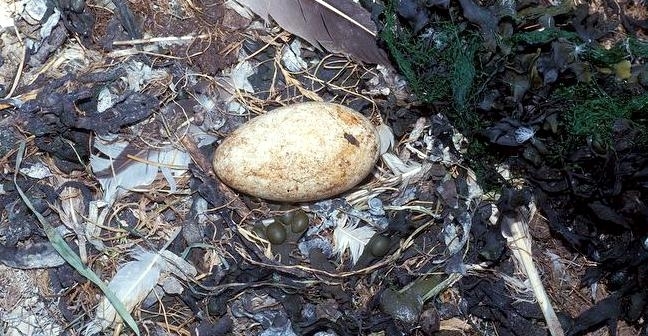 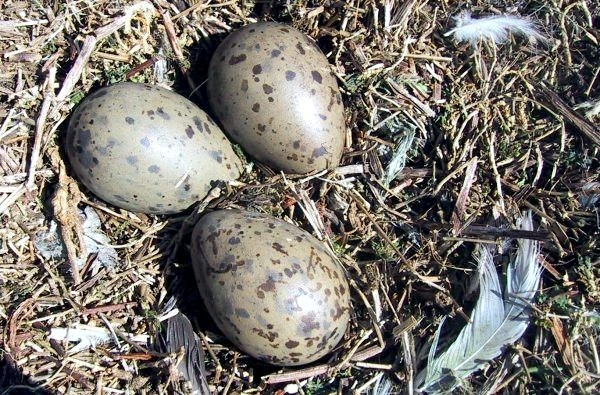 The female lays 1 egg, which both parents incubate. 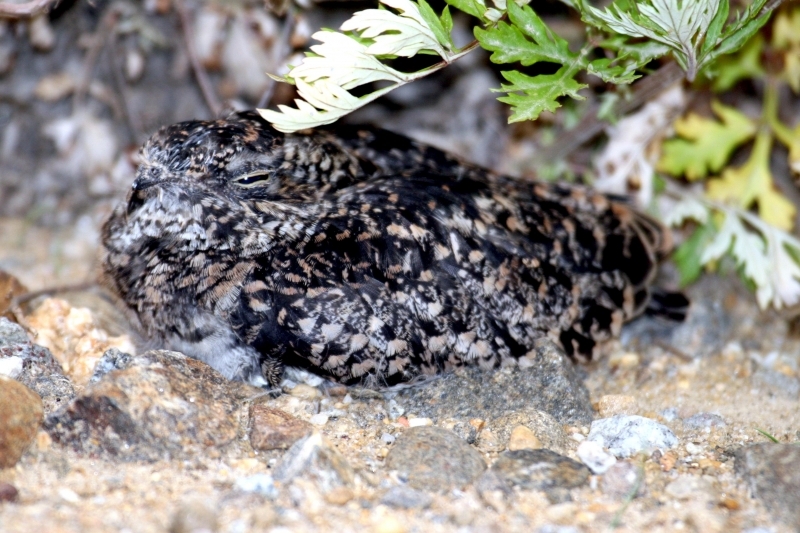 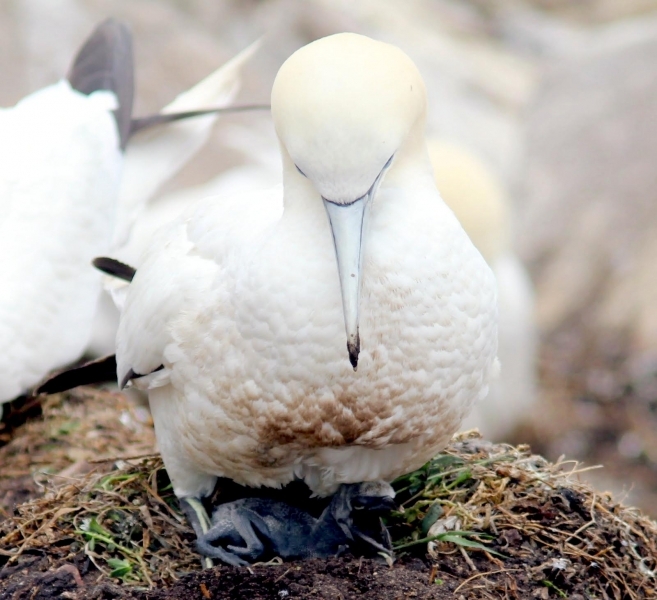 After hatching, both parents care for the chick until it is old enough to fend for itself. 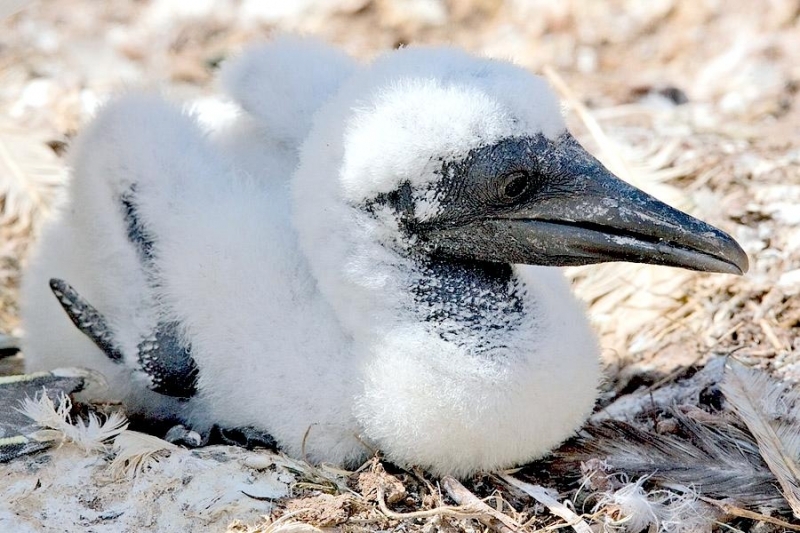 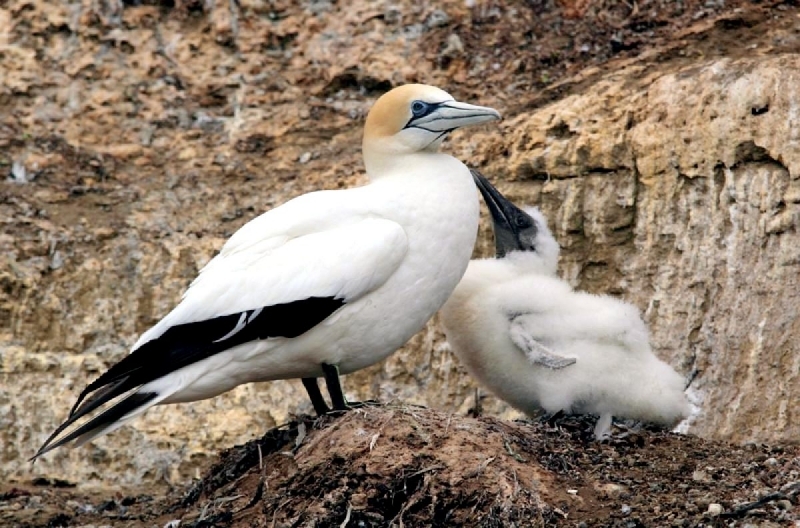 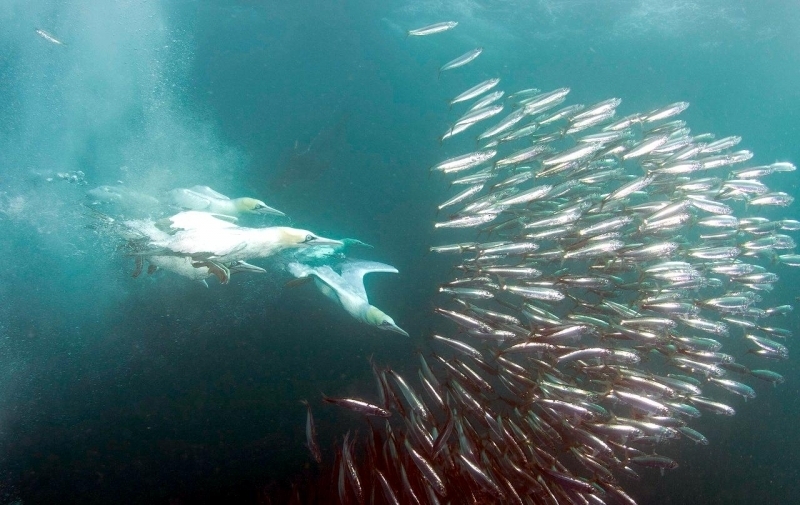 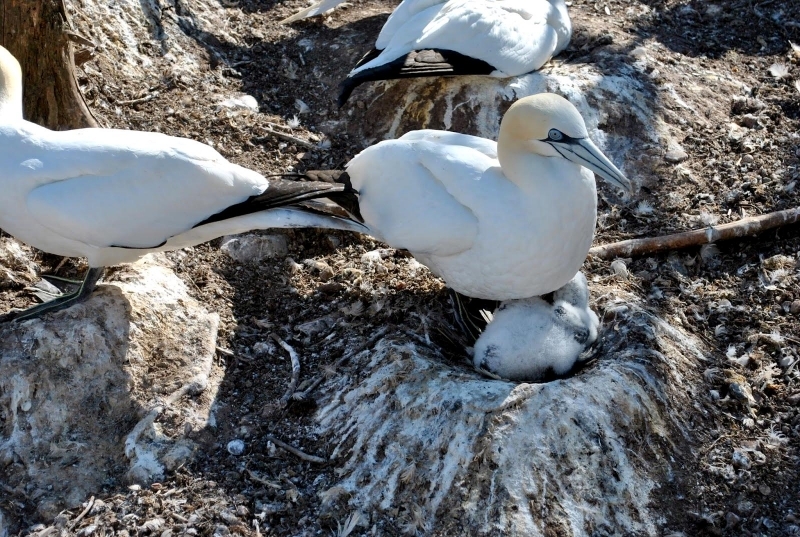 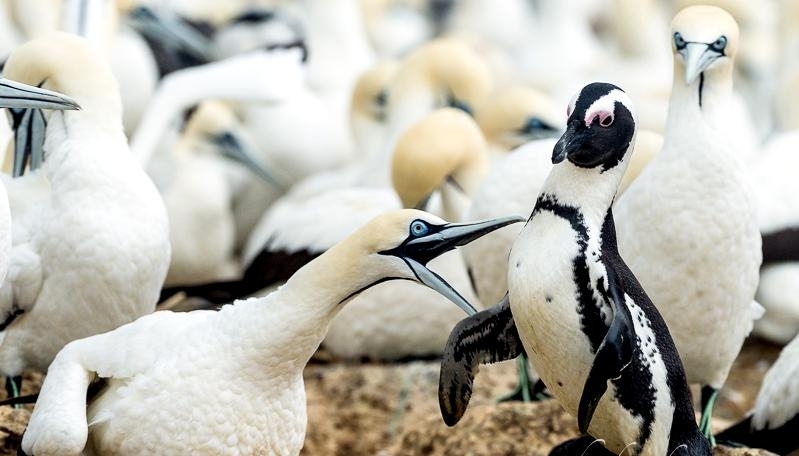 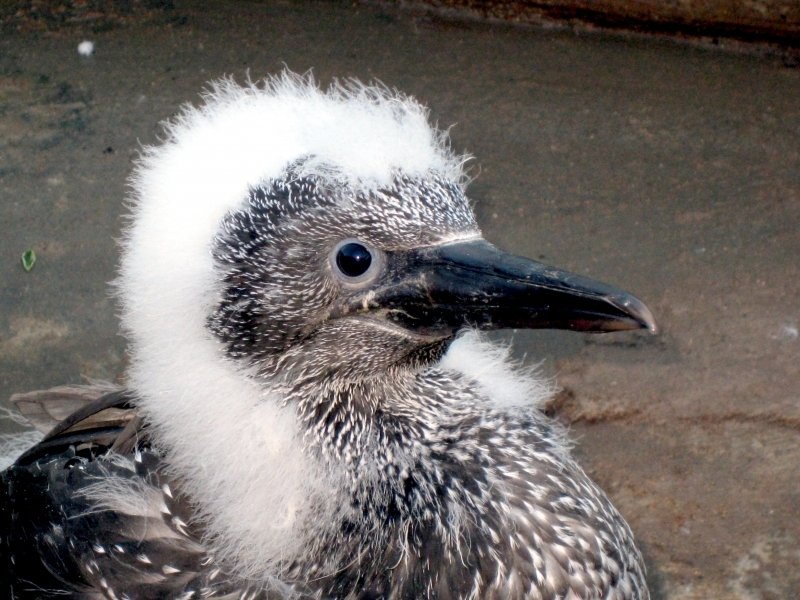 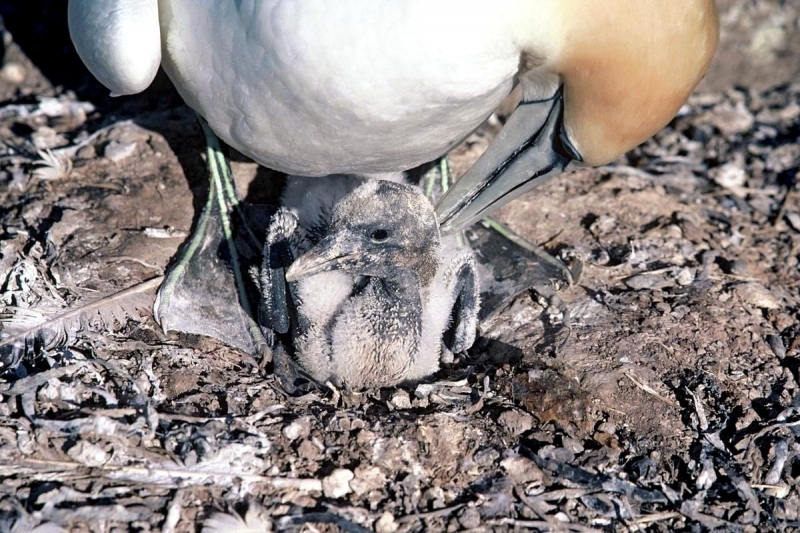 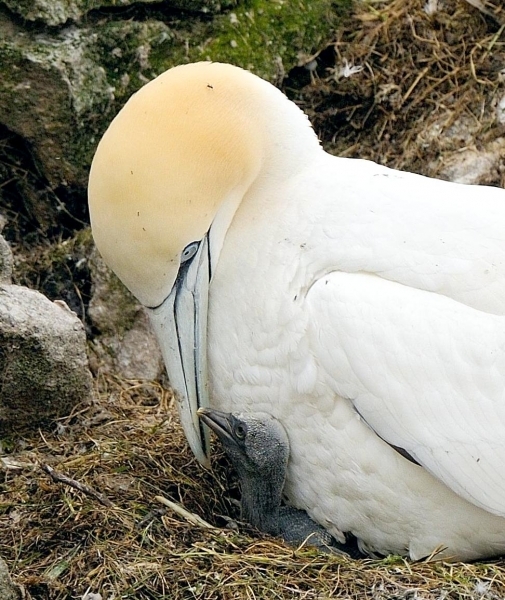 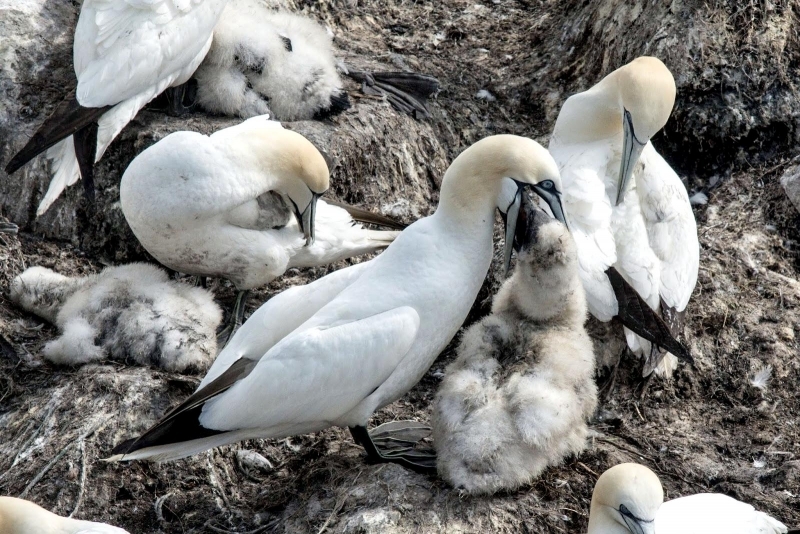 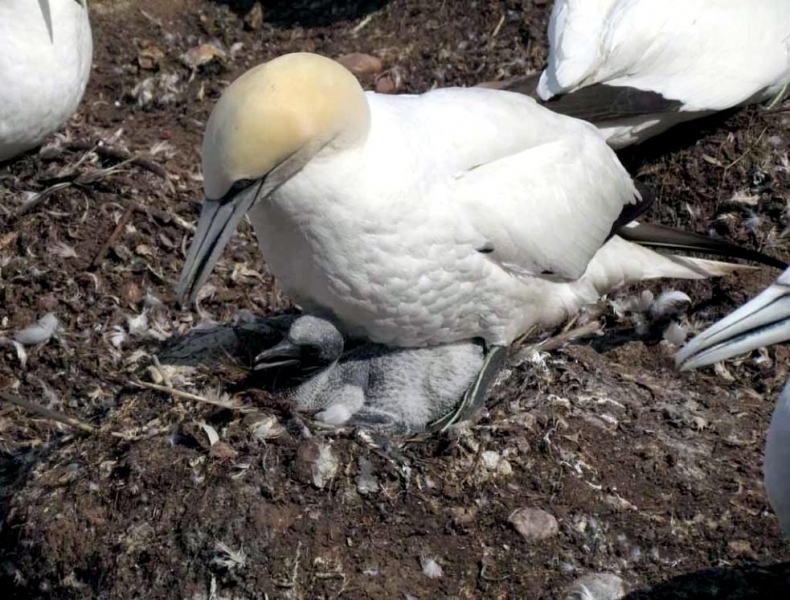 Once it has left the nest, the Gannet chick learns the specialized “plunge-diving” technique through instinct. 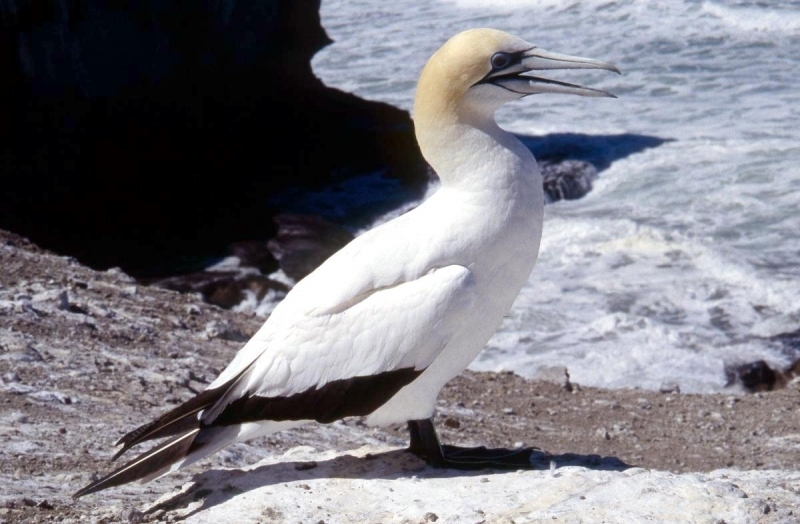 The adult Gannet has striking white plumage with narrow grey spectacles and jet-black wingtips that taper to a point. 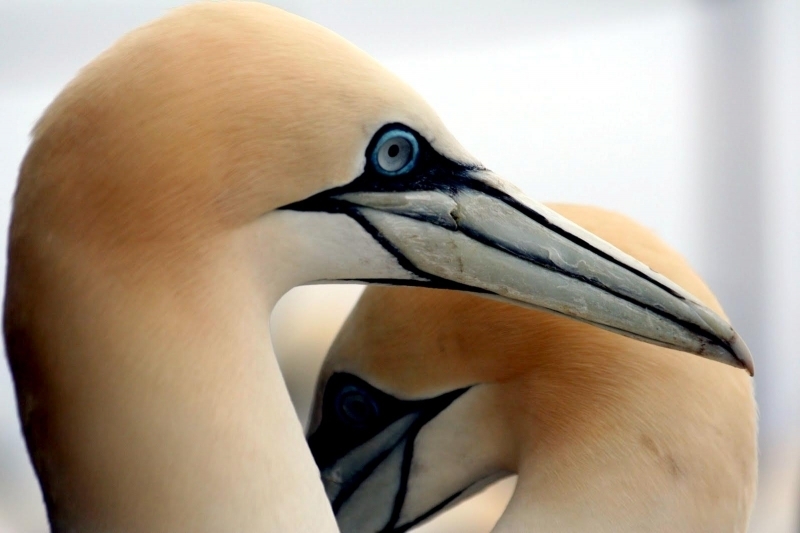 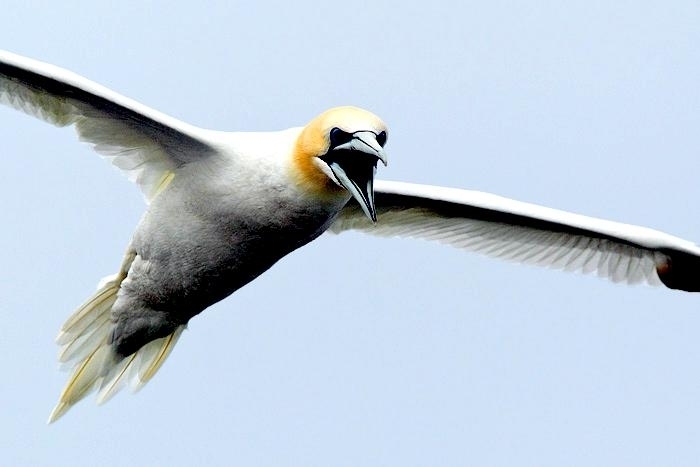 During breeding season their head and neck take on a delicate yellow tint that contrasts with their blue eyes and blue-grey bills beautifully. 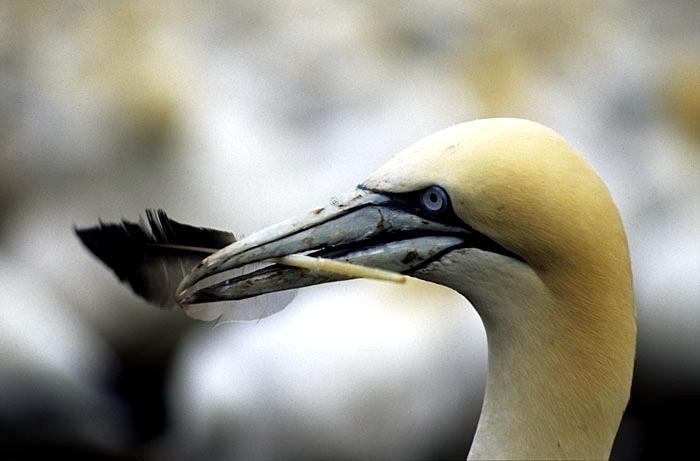 Males & females look the same and juveniles are brown with white flecks. 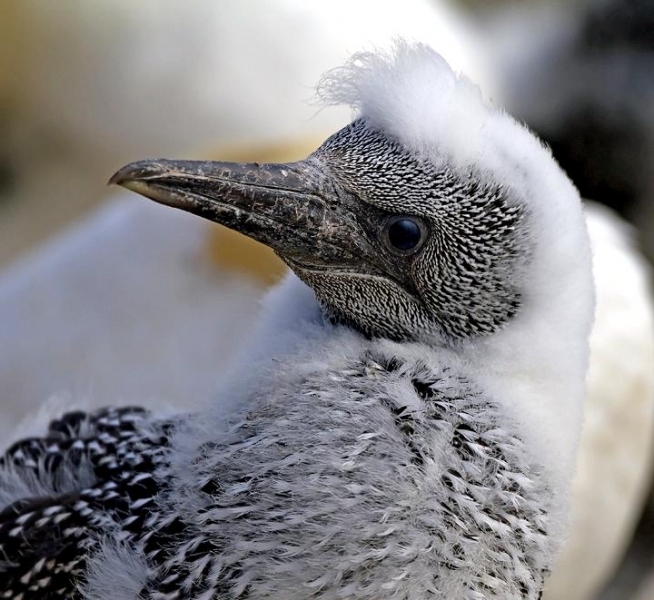 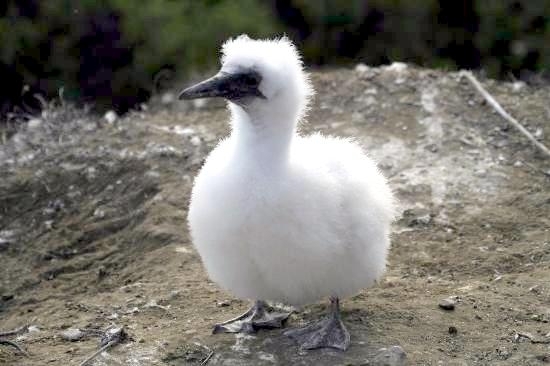 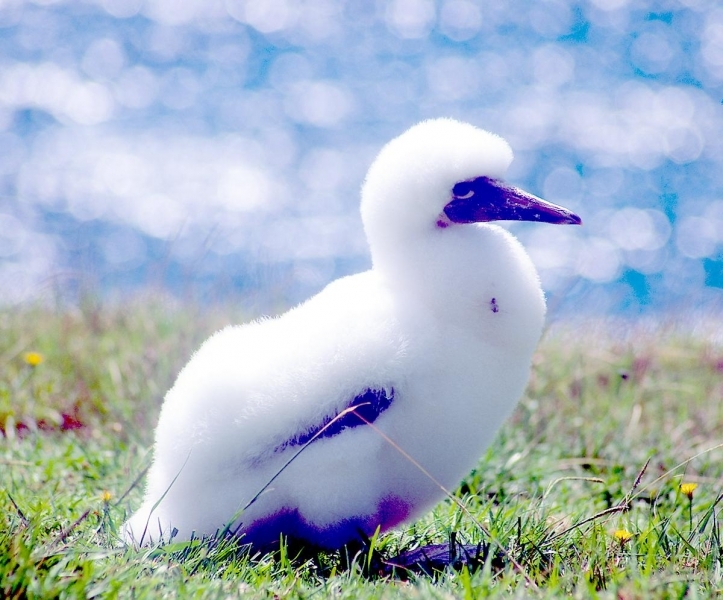 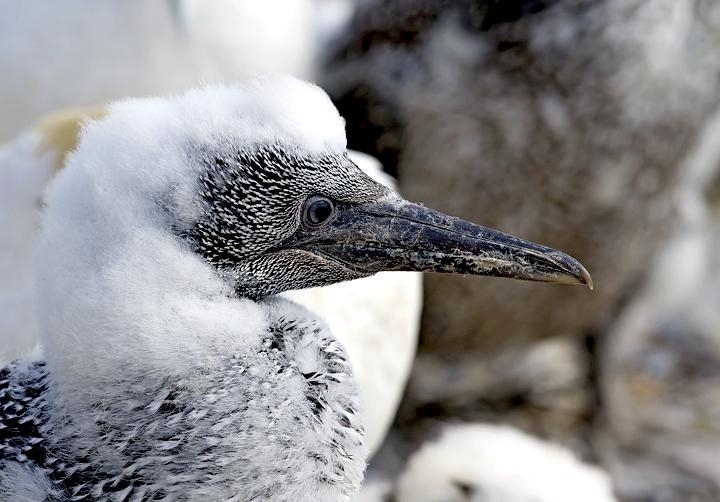 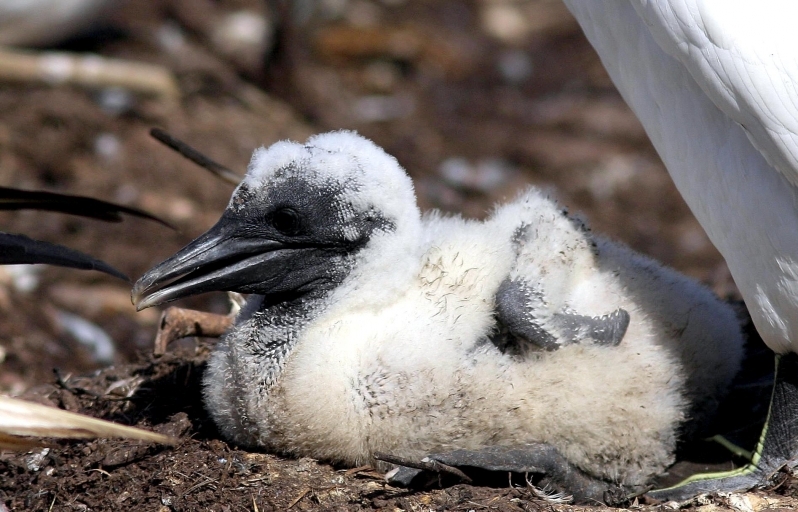 These youngsters get progressively whiter each season until they get their adult plumage at the age of 4 or 5. 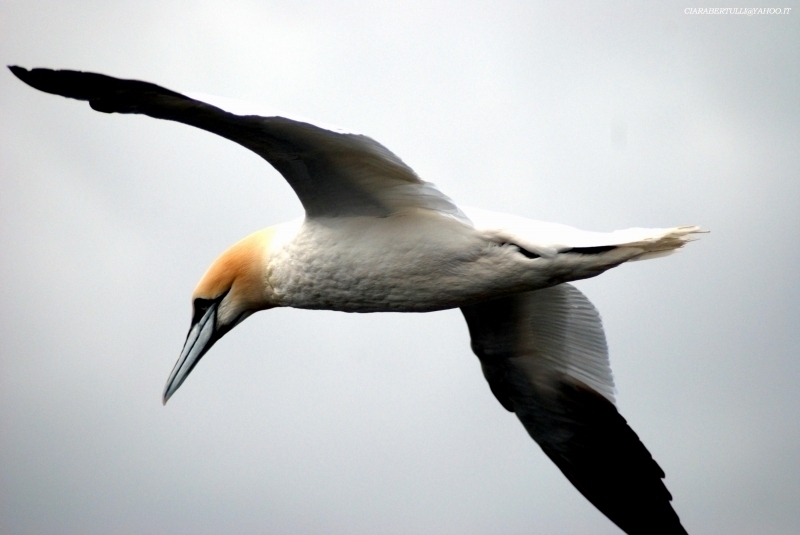 Adults are 87-100 centimeters in length with a wingspan of 165-180 centimeters. 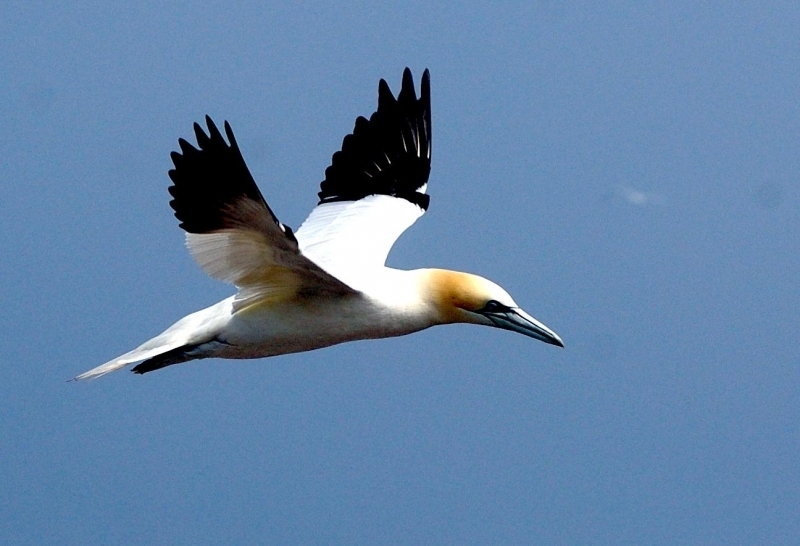 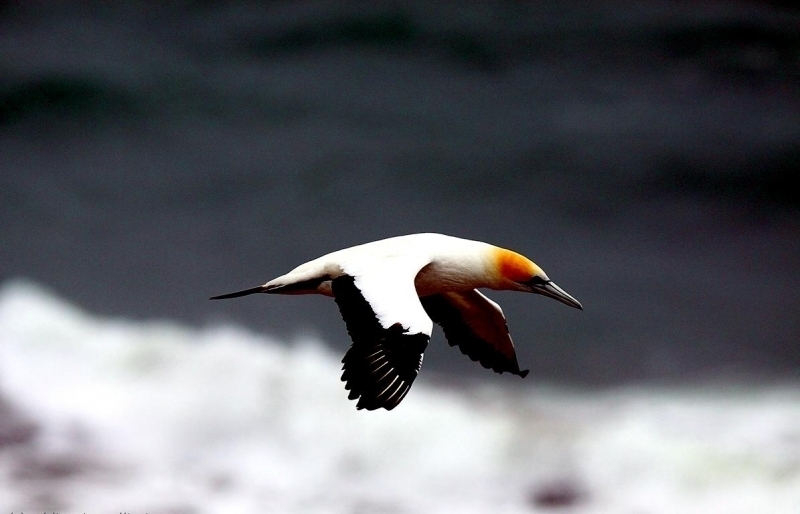 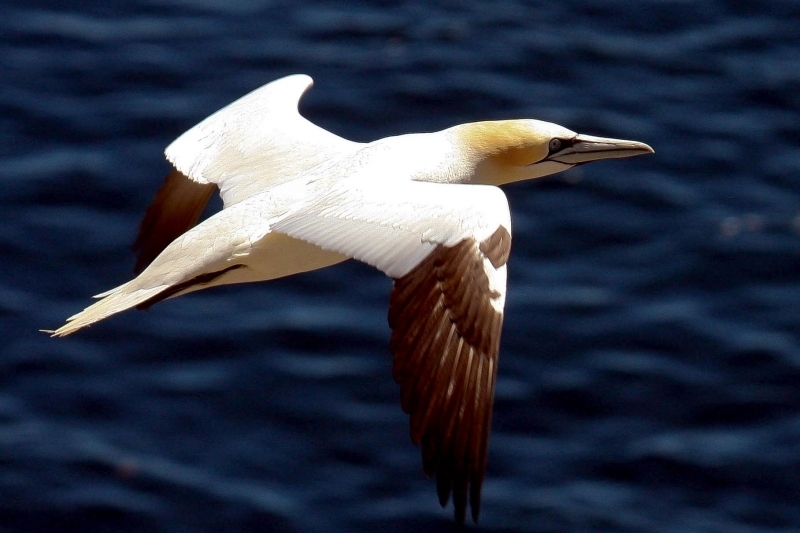 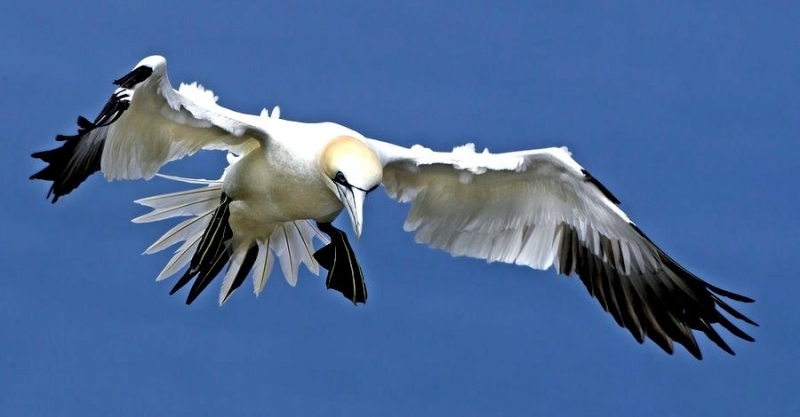 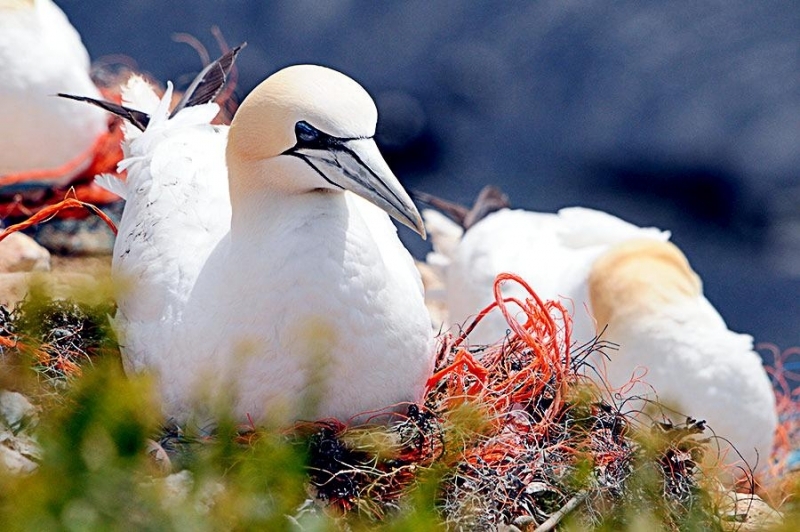 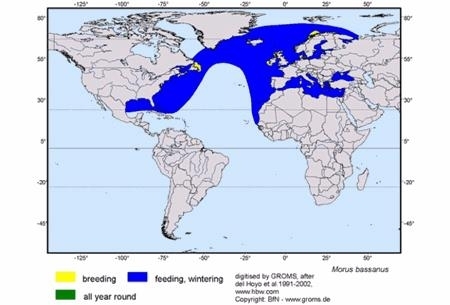 Gannets are migratory and normally spend their winters at sea. 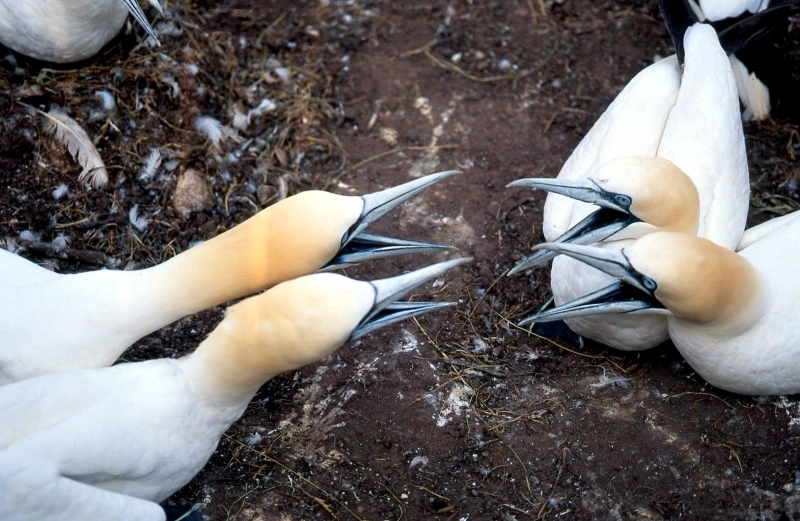 However, during breeding season, they will head to their breeding grounds usually to the same nest until it is simply too filthy to use where they perform elaborate greeting rituals with their partner.